This is a newly formed event combining our Christmas tree lighting and our Dickens Festival into one grand holiday event. We invite you to step back in time and enjoy Christmas as it once was. Friday night December 5th: 6:00 PM Over 1000 luminaries will line the streets of Historic Biltmore Village to celebrate the lighting of our 25′ Christmas Tree. The event will feature the AC Reynolds Madrigal Choir. There will be freshly made Christmas Wreaths for sale, in addition to horse drawn carriage rides through the Village and other festive treats. Register to win one of the many gifts to be given away the night of the event on our website at www.historicbiltmorevillage.com/events or that night during the tree lighting. We will also be taking monetary donations for Manna Food Bank at the registration table that night and at our stores during the month of December, as part of our “Hungry for the Holidays” promotion, in conjunction with Talbots. Saturday December 6th: 1:00 – 7:00 Located throughout the Village will be strolling carolers dressed in period costumes, musicians, and other lively holiday entertainment. The Montford Park players will also be on hand to entertain. 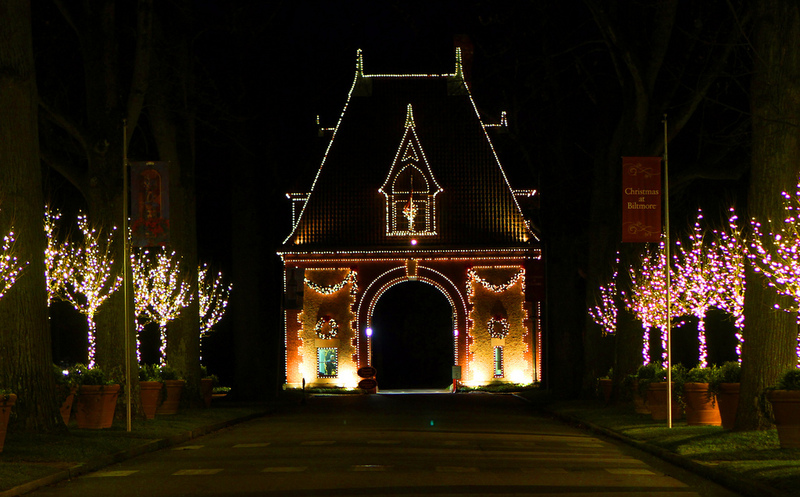 There will be freshly roasted chestnuts for sale and the horse drawn carriage will be there during the day to complete the holiday experience.